Informing, engaging and inspiring teachers, community members and educational leaders to elevate the quality of our public schools. 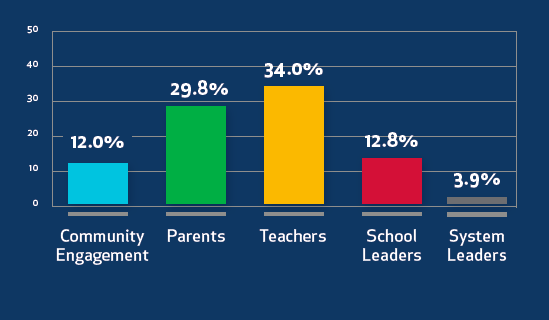 Learn about how schools in your neighborhood perform. Stay up to date on the latest local public education news, upcoming events, and opportunities to make a difference. Your support can help ensure every child attends a high quality school. We spark innovation, relationships and resources to power the potential within and around our public schools to achieve excellent outcomes for all students. We believe that an informed and active citizenry, together with attentive and aligned community leadership, will move our schools forward to prepare students with the skills they need for future success. Do you know about the schools in your area? Your source for comprehensive information about performance and progress in Duval County Public Schools. 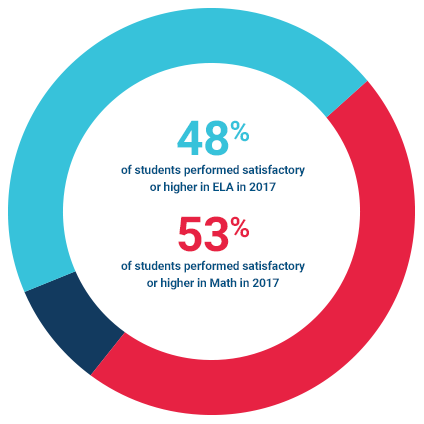 Check out our latest research, browse performance data, and use the compare tool to see how different schools performed. Sarah Pasion, a fourth grade teacher at Sadie T. Tillis Elementary, was given the top honor at the 2019 EDDY Awards.